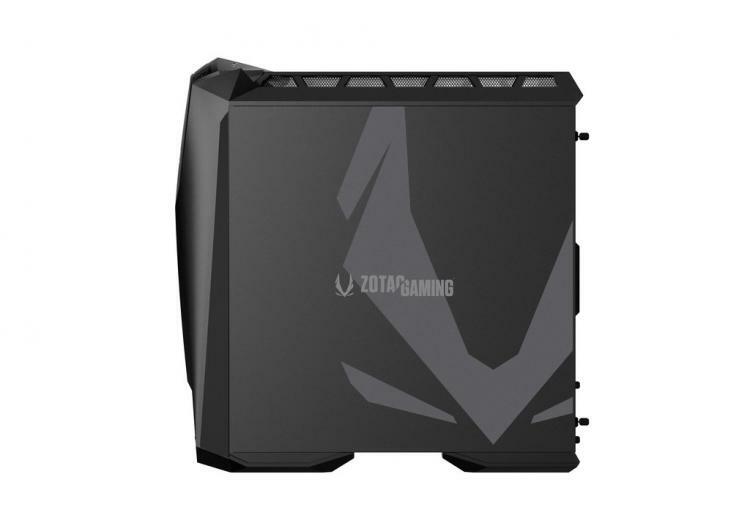 ZOTAC launches its most powerful gaming desktop PC – the ZOTAC MEK ULTRA. 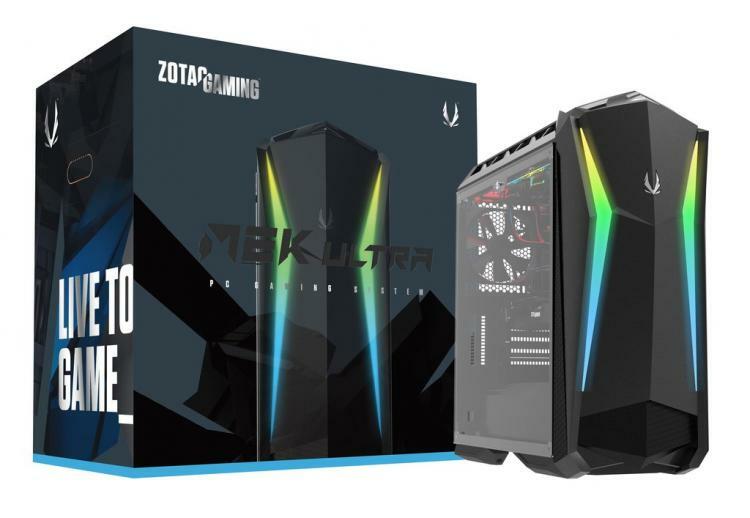 The MEK ULTRA gaming PC is ZOTAC’s pre-built gaming desktop featuring ZOTAC’s own NVIDIA RTX 2080 Ti, RTX 2080 and RTX 2070 graphics cards and Intel processors of up to a 10-core Intel Core i9-7900X high-end desktop platform processor or a 6-core 8th generation Intel Core i7-8700K mainstream desktop processor. 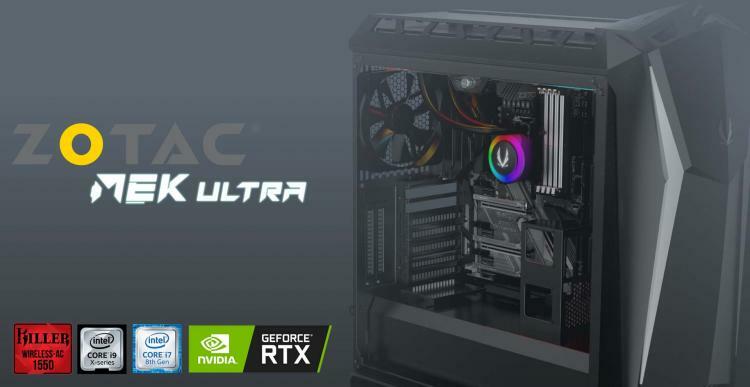 The ZOTAC MEK ULTRA gaming PC features the latest technologies to create the best high-performance gaming PC one can build today. The ZOTAC MEK ULTRA gaming PCs comes packed with a powerful and highly efficient 1000W Gold rated power supply to deliver stable and strong power as well as accommodate an upgrade to dual-graphics SLI configuration. 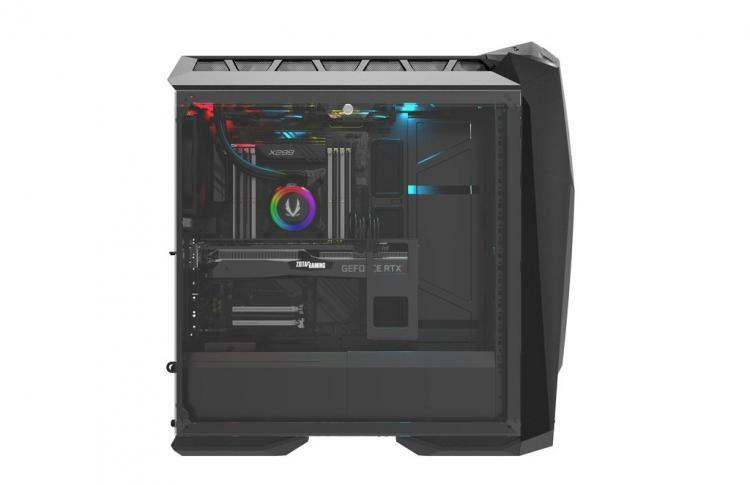 The MEK ULTRA gaming desktop can be configured with up a 500GB NVMe M.2 solid-state drive and can be paired with a 32GB Intel Optane memory. 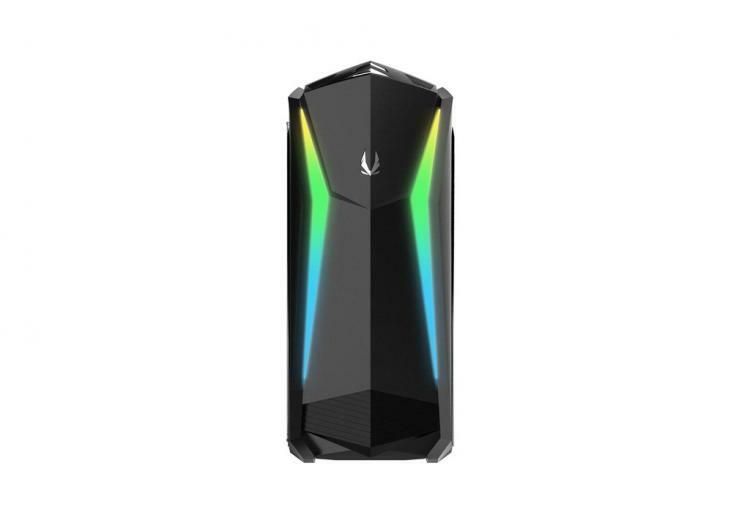 To ensure the Intel Core i9/Core i7 processor runs cool and stable, ZOTAC packs the ZEK ULTRA with two 200mm RGB fans as front intake and cools the Intel processor with liquid cooling. 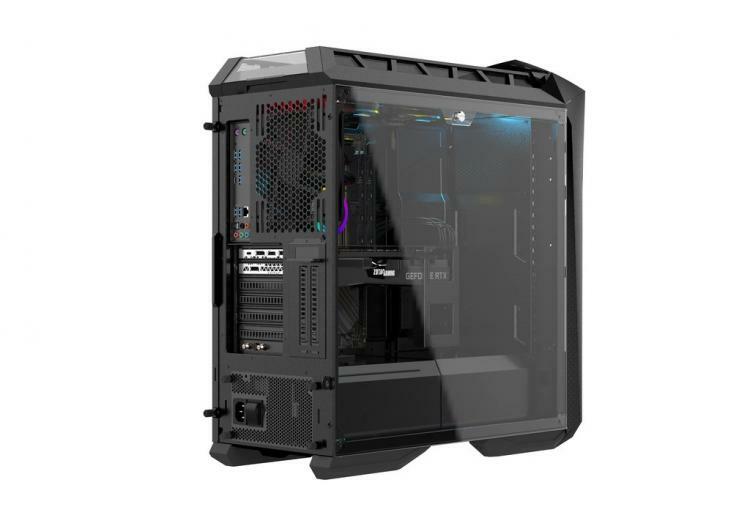 The MEK ULTRA offers a crystal-clear view of the interior with its tempered glass side panel. The MEK ULTRA’s RGB lighting is powered by the Spectra 2.0 software. Game on the Killer AC 1550 for the fastest connection on wireless. Additional Killer AC enhancements include 2x2 160 MHz channel support and Advanced Stream Detect 2.0 for automatic prioritization of gaming, video, and audio. Learn more about the ZOTAC MEK ULTRA gaming PC here.